In a large pan (I used a 6 quart), melt butter over low heat. 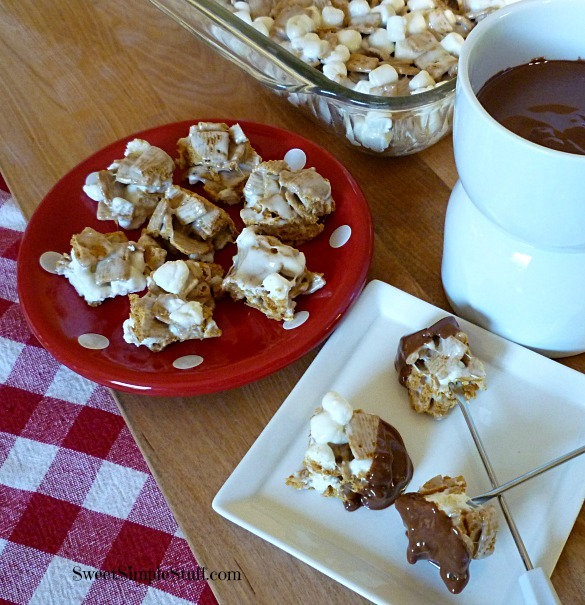 Add 6 cups mini marshmallows and stir until completely melted. 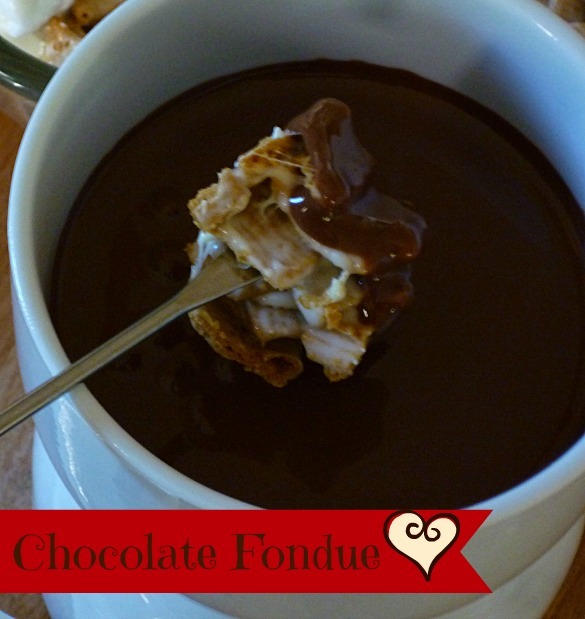 Remove from heat and add cereal, stirring until all cereal is coated. 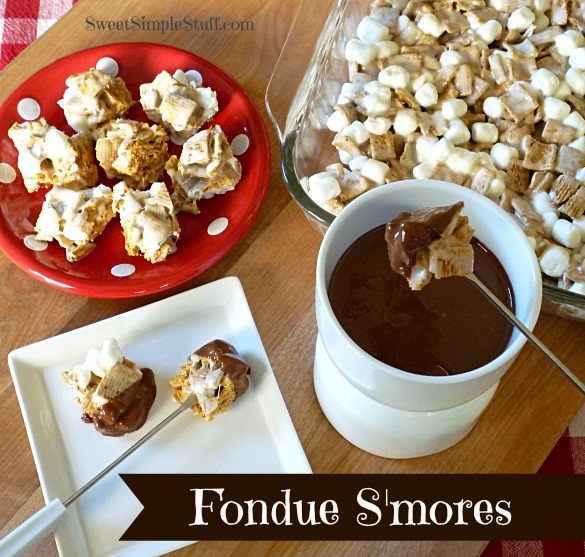 Add remaining 4 cups mini marshmallows and stir to combine. Spread in prepared pan using buttered spatula. Let cool at least 1 hour and cut into squares. 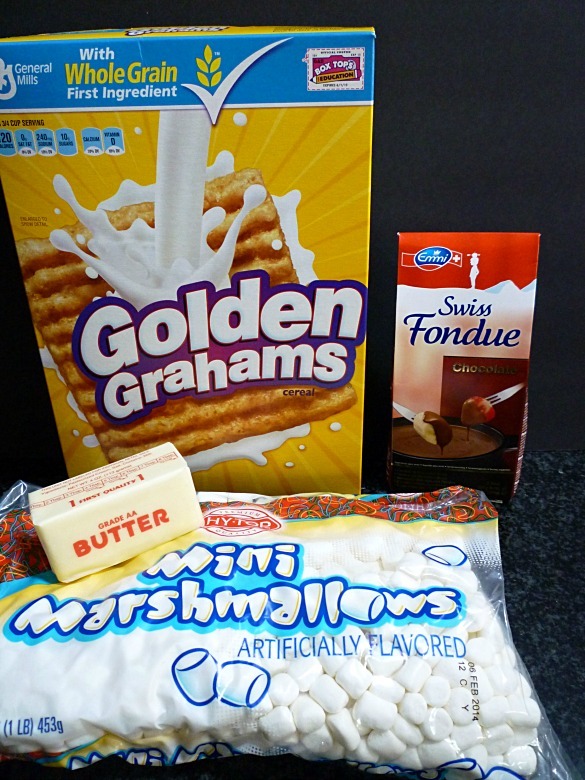 Melt chocolate fondue according to package directions and serve with cereal squares. Family Poll … Hubby, Sons #1 and #3 … 6 thumbs up! Son #2 (whom I should name the critic)… says the cereal squares did not need the extra marshmallows added. 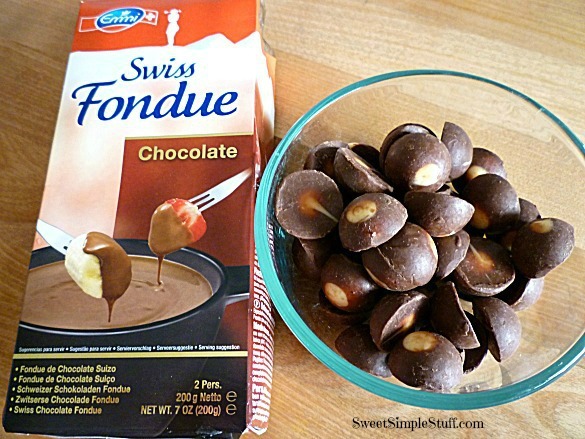 Thank you to the folks at Emmi for providing me with the Swiss Chocolate Fondue … all opinions and recipes are my own. These sound and look delicious. Love your ideas. Thank you Ellen 🙂 This recipe is a keeper! love this idea. I will have to try with my boys. Thank you Lucinda 😉 It’s a treat for boys of all ages! I want to hang out at uour house and eat all of your creations!!! Hi BAM! Of course the hubby remembered the beer! 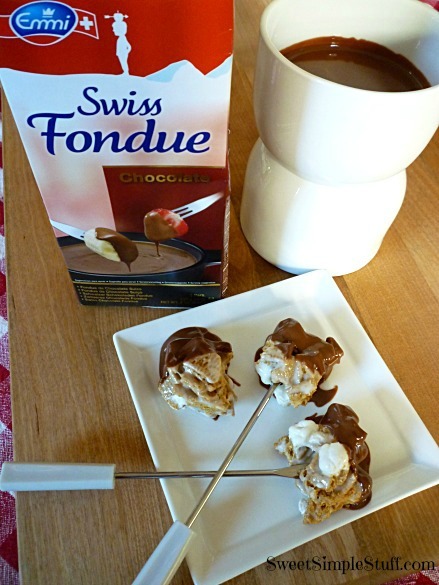 Fondue has made a come back here in the U.S. also … it is fun And tastes good too ;). There’s always at least one critic in the house, Brenda. That’s okay, he and the others have very kindly ‘suffered’ through many a tasting and lived to tell about it. Ha-ha!